Interested in Pi Shawls? Come learn with me in person at Harrisville Designs on April 13th! LINK HERE. 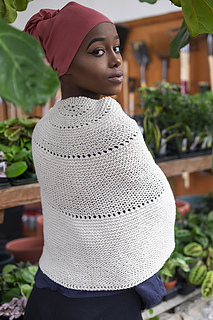 This pattern is based on Elizabeth Zimmerman’s Pi shawl; it is a half pi shawl knit in garter stitch. 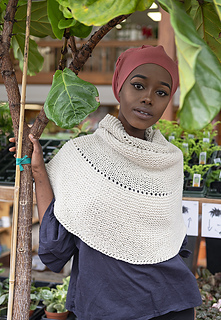 It can be knit as is for a perfectly simple shawl, or you can use it as a jumping off point to create your own half pi shawl. 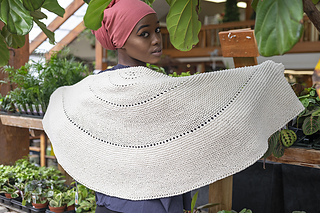 But what is a Pi Shawl anyways? Let’s break it down. You might remember from high school math that Pi is 3.14. To find the circumference of a circle, we multiply 2 x Pi x the radius of a circle. 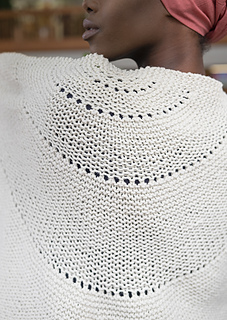 It sounds rather more complicated than what we need to know to knit a Pi Shawl – because it is! 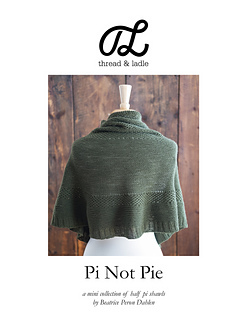 The only thing you must understand about Pi in regards to Pi Shawls, is that Pi tells us that as the circumference and diameter are proportionate to one another. As one grows, so does the other, and they always grow in proportion. 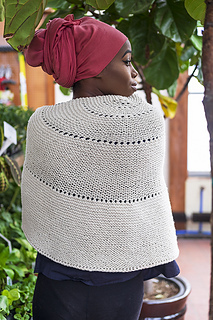 Elizabeth Zimmerman put this to use in creating the ingenious Pi Shawl. She made the mathematical leap that as the diameter (rows) doubled, so did the circumference (stitches). How she applied it is this: each time you double the number of rows you have worked, you double your stitches by working a row of yarn overs. The benefit of this kind of increase method is that it leaves you with large areas where you have nothing to do but knit (increases nly happen on the increase rows). 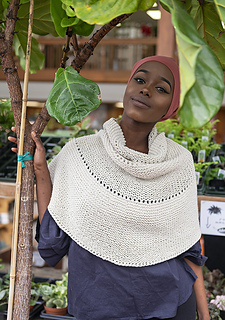 You can easily insert stitch patterns without needing to figure out how to incorporate them with every other row increases that you would find on many other shawl shapes. The pattern includes two sets of instructions. The first set is asymmetrical, and is what is shown in the sample. The benefit to this construction, if you are inserting your own stitch patterns into different sections, is that you will be left with even, easily dividable numbers after each increase row. That makes it somewhat easier to do the math to insert your stitch pattern. 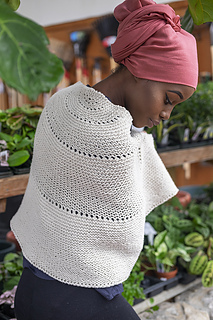 For instance, all of the sections after Row 12 are divisible by 4, 6 and 12, making it easy to find a stitch pattern that uses repeats of 4, 6 or 12 and insert them without needing to adjust the stitch count. 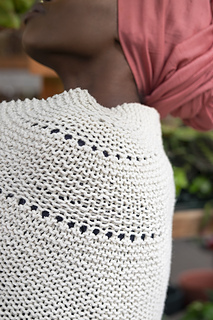 If you prefer the symmetrical construction, you can still insert your stitch patterns, but you will need to figure out how many extra stitches you will have before and after the pattern repeat.